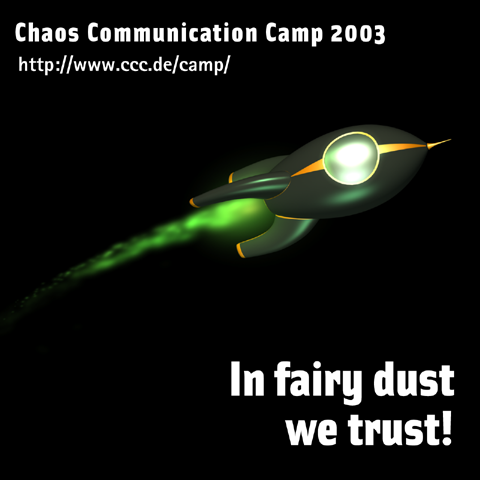 Obviously inspired by the tagline of the Chaos Communication Camp (which in itself was inspired by Her), 0x7f has produced a smooth song (MP3, 6.8MB) for the event. The style of his home page perfectly fits the style of his sound in my opinion. Thanks a lot! Hopefully this is just the beginning of a whole soundtrack of the Camp. A couple of DJs and music makers have announced their appearance at the Camp and there will be an open music area at the Art & Beauty Village during the event as well.